Amy oversees the maintenance of our client accounts and banking services alongside operational support within our practice. She oversees the delivery of important client communication in a timely manner, which is critical to keeping our clients informed of necessary updates and account-related information. Amy also manages our office calendar and scheduling to ensure our operation runs smoothly with a consistent focus on delivering superior client service and communication. 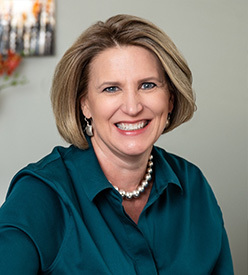 Amy earned her Bachelor of Science degree in business management from the University of Phoenix and has gained extensive experience over her many years working in the financial services industry. Along with her Series 7 securities license, Amy has also earned her Series 4, 8, 63 and 65 securities licenses and is a registered options principal. When not in the office, Amy enjoys travel and exploring all that Arizona has to offer, often on horseback. She loves animals, especially her Vizsla dogs, donating her time working with the local Rio Salado Vizsla Club as a member of the board of directors. She also enjoys sharing her love of baking by making amazing cookies to share with family and friends. Amy resides in the Cave Creek area with her husband, Randy, a third generation Arizona native.